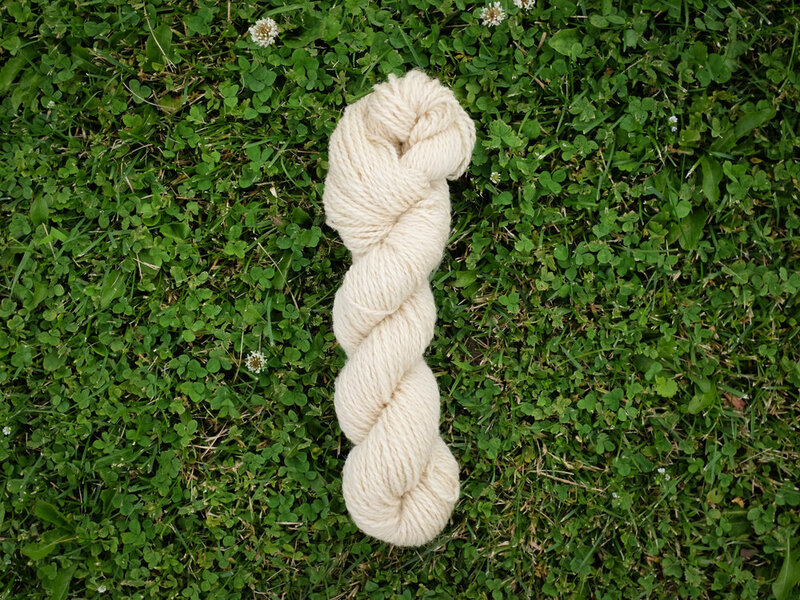 One of the highlights of our summer 2106 was producing our own small batch of yarn. 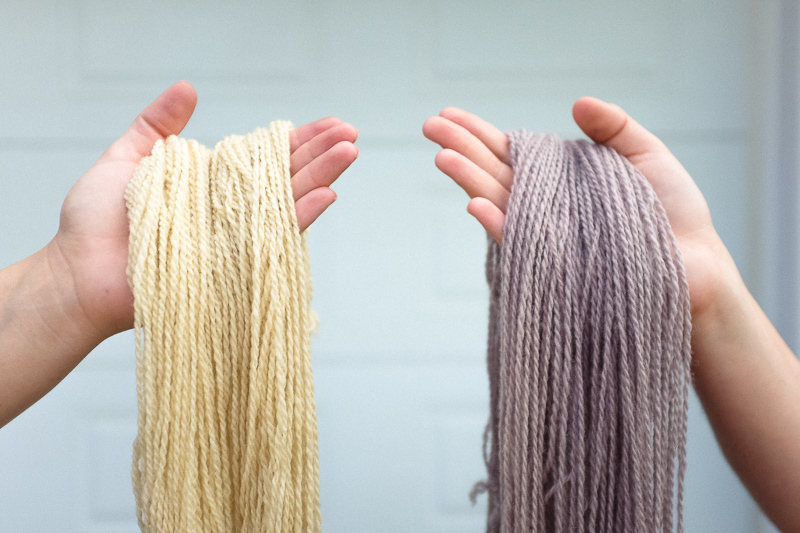 Without traveling more than a day's driving distance from of our house, we picked up wool from Noon Family Sheep Farm in Maine, drove it to Green Mountain Spinnery in Vermont to be made into yarn, and dyed the yarn with Julie Asselin in Quebec. 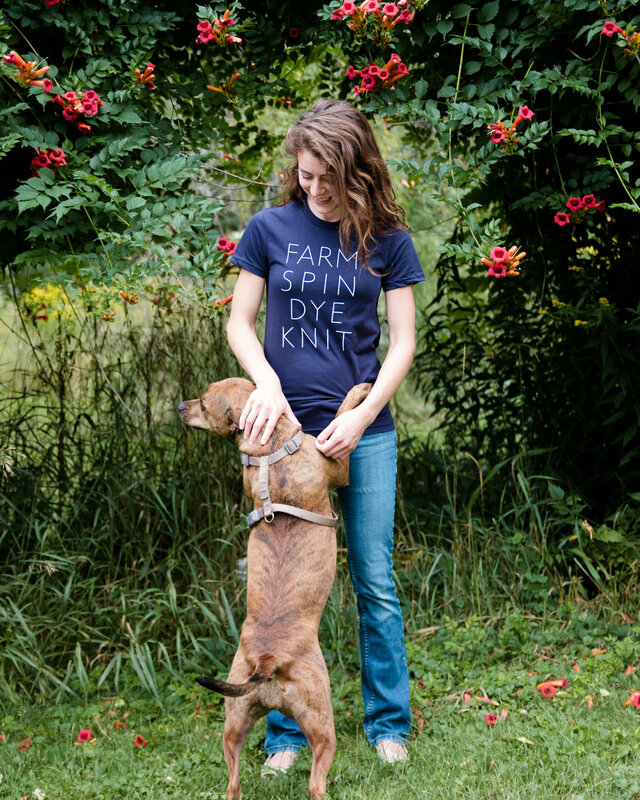 When the yarn was done, we put it up for sale in an online pop-up shop, along with some T-shirts we designed to commemorate the project. 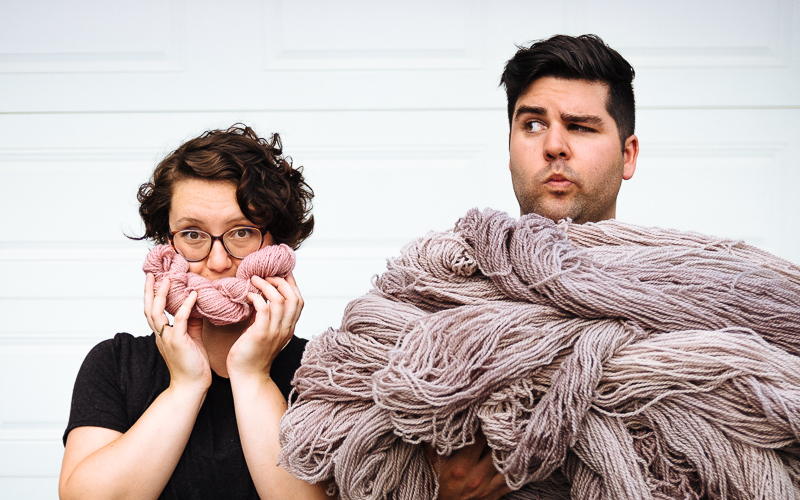 It was a super fun project, and we love seeing the resulting yarn and shirts being used by knitters! If you have a photo of yourself wearing one of the shirts, a project you made with the yarn, or anything else related to our Wool Trip project, we'd love it if you shared it on social media using the hash tag #wooltrip.